The process for working legally in Thailand basically comes down to obtaining a valid work permit to do so. You would first have to obtain either a Non-Immigrant “B” which requires a degree in any field or a Non-Immigrant “O” which does not. Both of these Non-Immigrant visas open a 90 day window for you to obtain a valid work permit from your employer and once you obtain your work permit, your visa is also extended a year from entry. The two main categories a school or potential employer would consider is if you are currently a degree holder or a non-degree holder. The two sub-categories would be are you a native English speaker or non-native English speaker. The term Native English Speaker (N.E.S.) referrers to any individual holding a passport from; The United States of American, United Kingdom, Canada, New Zealand or Australia. If you are not holding a passport from one of these countries, then according to Thailand and most of Asia you are a non-native English speaker. Over the years Thailand has made some exceptions in considering passport holders from South Africa and Ireland as native, but these countries have not been formally added to the list. 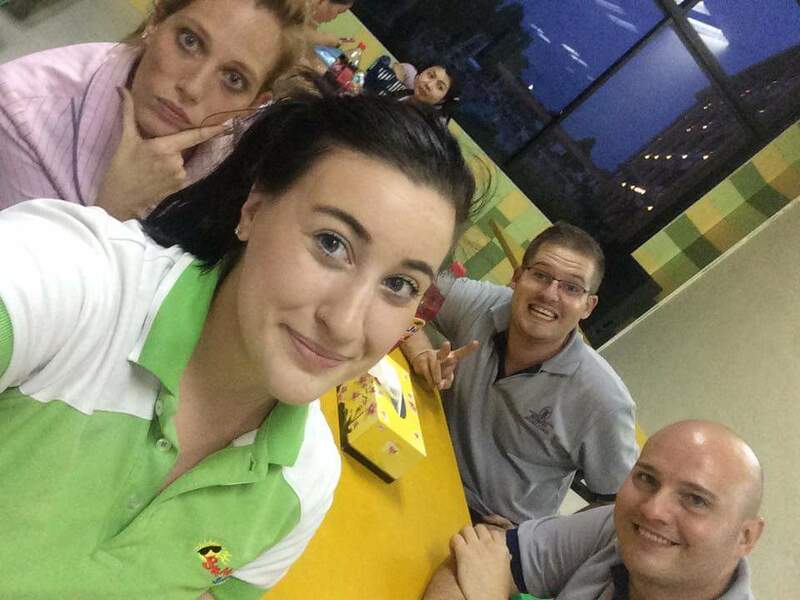 Sign up for one of our awesome TEFL programs. We’ll send you a sponsor letter requesting you arrive on a non-immigrant visa to attend the course. Head to a Thai Embassy to obtain your Non-immigrant or Tourist visa. Upon graduation head to your school or employer that our amazing placement team organized for you. Once your employer has given you the Non-immigrant sponsorship package you will be required to leave Thailand for at least 24 hours to obtain a non-immigrant visa at a Thai Embassy in your employers name using their sponsorship documents. Return to Thailand activating your Non-immigrant visa; give a copy of your passport to your employer so they can start the process for your work permit. Receive your work permit in hand, then extend your visa one year from entry…Sorted!! Head to a Thai Embassy to obtain your Non-immigrant or Tourist visa. As you are NOT currently holding a degree the Thai embassy may not honor our request and ask you to arrive on a Single entry or Multiple tourist visa, which is totally fine. Our dedicated placement team works with you and your employer to organize your visa and work permit. If your employer is unable to provide you a non-immigration visa and work permit then just contact our in-house legal team that will get you on track toward your work permit. You will be required to leave Thailand for at least 24 hours to obtain a non-immigrant visa at a Thai Embassy using your employers (or our) sponsorship documents. Return to Thailand activating your Non-immigrant visa; give a copy of your passport to your employer so they (or us) can organize your work permit. Head to a Thai Embassy to obtain your Tourist visa. What is the difference between arriving on a Non-Immigration Visa or Tourist Visa? The difference upon receiving either Non-immigrant visa or Tourist Visa on entry is very slight. If you arrive on a non-immigrant visa you will have 90 days of validity from the date you entered Thailand activated it. The tourist visa gives you 60 days of validity from the date you entered Thailand activated it with an optional 30 day extension to equal a total of 90 days. The 30 day extension can be done at any immigration office or border crossing nationwide and costs 1,900 Thai baht for the extension. Non-Immigrant visa provides you a 90 day window to obtain your work permit. Once you have obtained your work permit, your visa is extended one year from entry. A Non-Immigrant ‘B’ Visa requires a degree where as a Non-immigrant ‘O’ does not. Must leave the country to get a new non-immigrant visa once your employer provides you the sponsorship documents. A single Entry Tourist Visa gives you 90 days of validity with the 30 day extension and the Multiple Entry Tourist Visa (METV) gives you 180 days of validity with two 30 extensions, which is basically two single entry tourist visas back to back. The tourist visa allows you to; participate in meetings, conferences, seminars, attend special academic training or lectures which makes it prefect for our TEFL course. May convert the tourist visa to a non-immigrant visa without leaving the country. 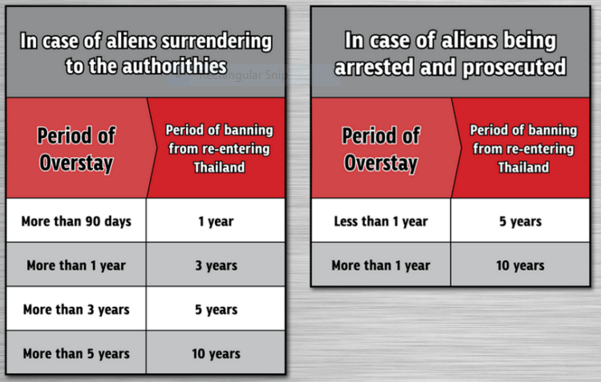 Must pay an additional 1,900 baht at a local immigration office for the additional 30 extension to equal the 90 days. Why an ED visa is not the right visa for TEFL / TESOL training and employment. The ED visa (student visa) is for any educational program or class with duration over 90 days and most TEFL / TESOL classes are three to four weeks so clearly the time requirement does not match. The ED Visa requires a Thai national element, for example a Thai person teaching you something; however most TEFL / TESOL trainers, certainly ours are native English speaking trainers so clearly the Thai element does not match. The ED Visa restricts employment or any form of compensation of any kind so if someone is expecting to work, earning income as a teacher upon graduation then they will be force to leave the country to obtain a new non-immigrant visa once they obtain an employer. The ED visa (student Visa) because of its ease of sponsorship has been massively abused by unscrupulous companies looking to make a quick buck from a single piece of paper from the unknowing TEFL participant, even telling them that the ED Visa is required of them because they will be working in Education. ED visa are being sold along with some type of Thai language training to justify the cost which must be cancelled as soon as you want to start earning income in Thailand. So what is the Visa process for one of our students? If you have enrolled for the Premium TEFL program and hold a passport from a native English speaking country we will email you a non-immigrant ‘B’ visa sponsorship letter as part of the program to request you arrive on a Non-Immigrant ‘B’ visa. You may also arrive on a single entry tourist visa or Multiple entry tourist visa if you choose. Please note: We are providing the Non-immigrant “B” sponsorship letter for free as part of the course. The purpose for the request is to simply attend our teacher training course. Upon completion of the course, when you meet with your employer, you eventually must obtain a Non-immigrant visa “B” visa in the Employers name so that they can process your work permit. As we are not your employer it does not make a difference if you arrive on a non-Immigrant “B” visa or a Tourist visa, just personal preference. The Basic TEFL course does not include the visa sponsorship prior to arrival so simply apply and arrive on a single or Multiple Entry tourist Visa. The Royal Thai Embassy or Consulates worldwide can vary on services, visa processing times, visa forms and fee structures, so please check for any updated information or requirements prior to your visit by visiting the Thai Embassy and consulate of your choosing by clicking the image below. Upon your arrival in Thailand or shortly before landing, you will be handed an Arrival Card (as below) so make sure you have a pen handy to fill it out correctly. If you have signed up for one of our TEFL courses then we would have emailed you an arrival information sheet on how to fill out this form and other location specific information on airport arrival, accommodation, etc. Your visa is activated once your passport is stamped by the Immigration officer with on your arrival date; this is your entry date. If you are arriving on a tourist visa, then this gives you 60 days of validity and if arriving on a Non-Immigrant Visa then this would give you 90 days of validity. Exciting times ahead! Please note: If you failed to obtain a visa at either a Royal Thai Embassy or Consulate you will be given a Visa on entry, which gives you 30 days of validity if arriving by air transport and 15 days of validity if arriving by ground transport. You may extend this visa for 30 days at any Immigration office or border crossing nationwide. Both your passport and your Departure Card (They keep your Arrival card) will stamped with both you Arrival Date and and Visa expiry date (Admitted Until). The immigration officer will staple your departure card in your passport so you don’t loose it. During the Entrust TEFL orientation at one of our training centers; we will take a look at you passport and visa entry stamp to be sure that everything was done correctly, if not one of our staff will take you to the airport to have immigration correct the error. Job placement happens during our second and third week of the course, so you will have time to talk with your potential employers about visa sponsorship and work permits. We want you to be completely comfortable with your employer so we have Agents and schools come to our training centers to interview with you personally. Please note: Entrust TEFL is not your employer, but merely making the introduction to your potential employers as a regular part of our on going training programs. Only your employer can sponsor you with a working visa and work permit. Also recent changes in the regulations, the time frames to obtain a Work permit has risen from 10 business days to anywhere from 90 to 180 days as the due diligence period was significantly increased. Before you graduate the TEFL course on Friday night, you have determined which employer you will be going with and all the arrangements as to how are you getting to the school, who will be meeting you at the bus station or airport to collect you, where will you be living, and what your teaching schedule looks like, etc. will be sorted. Most schools have a probation period, both to see if you are happy at the school and If they are happy with you before they start the lengthy sponsorship process, but other schools want to get your visa sorted before you arrive at the school so that you don’t miss any valuable class time once at the school. During this probation and the processing of your visa sponsorship paperwork you may work at the school as both you and the school are in this probation period. Step 7: Still on a Tourist visa after 60 days? If you are still on a tourist visa 60 days from your arrival date, you must head to any local immigration office or police station to extend your tourist visa for an additional 30 days at a cost of 1,900 Thai baht. If you arrived on either a Non-Immigrant visa or completed both your 60 days of validity, plus your 30 day extension, then you need to organize a trip to a neighboring country to obtain a brand new visa or activate your multiple entry tourist visa. If your visa is expiring soon then you will need to do a “visa Run”, which is a term used to actually obtain a new visa at a Thai Royal Embassy or consulate. If you arrived on a Multiple Tourist visa, then you simply have to do a “border run (or hop)”, which is a term used when you simply step across the border and return to Thailand to activating the second part of your visa. If you are a degree holder, your employer has most likely given you a Non-immigrant Employment sponsorship package to take to the Royal Thai embassy to obtain your non-Immigrant “B” visa. If you are a non-degree holder, your employer has most likely given you a Non-immigrant Employment sponsorship package to take to the Royal Thai embassy to obtain your non-Immigrant “O” visa. If your employer has not been able to secure you a non-immigrant sponsorship package for you, then you will obtain a new tourist visa to give you another 90 days (60 +30) to give them more time to process the documents. You may also want to contact us about the possibility to obtain both a non-immigrant visa and work permit through our foundation as you can only do so many tourist visas from a single Royal Thai Embassy. If you have exceeded the limit of tourist visas from a single Royal Thai Embassy, then they will give you a letter that basically says come back with a plan as they would like you to be on the appropriate visa for your purpose in Thailand. Please note that overstaying your visa is a serious offence! If you are holding a passport from one of the following countries you will be asked to return to your home country to obtain a new visa as this can’t be done by a simple visa run. It is important that you understand this as sometimes people with red flagged passports attempt to do a simple visa run, but find themselves stuck between two countries. They stamp out of Thailand, but do not have a visa to enter Lao or Malaysia, and do not have a visa to reenter Thailand. It is seriously important to apply for a Visa prior to getting to the Immigration check point so that you will be able to enter the country. If you are attending our TEFL course from one of these countries, plan on attending the course, work for two months at your school, return to your home country to apply for non-immigrant visa from your employer, then arrive back in Thailand so that your employer can start processing your work permit so that you can stay in Thailand without being required to return home every 90 days. The five official Thai border exit / entry check points. North East: Mukdahan is the border crossing between Thailand and Lao PDR. The Lao entry visa and entry stamp will cost approximately 1,550 Thai Baht depending on your nationality. You will also have to purchase a bus ticket to go across the Friendship bridge II between Thailand and Lao; it’s about 50 Thai baht each way. Maesai is the border crossing between Thailand and Myanmar (Burma). The Myanmar visa stamp will cost approximately 500 Thai baht. You’ll simply walk over the bridge to the Myanmar check point, get your passport stamped, and then walk back to Thailand. 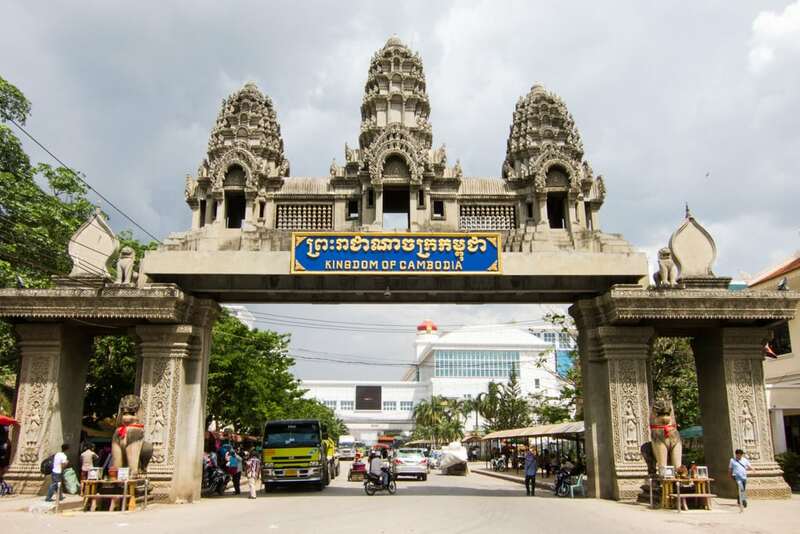 West: Ban Laem is the border crossing between Thailand and Cambodia. The Cambodian entry visa and stamp will cost approximately 500 Thai baht. You’ll simply walk over the bridge to the Cambodian check point, get your passport stamped, and then walk back to Thailand. South: Sadeo is the border crossing between Thailand and Malaysia. The Malaysian entry stamp is free to western and Common Wealth countries. There is a fleet of motorbike taxis that will drive you to the Malaysian check point to get your stamp, and then back to Thailand. You’ll never even have to get off the back of the motorbike! This costs about 20 Thai baht. Once you have obtained your Non-immigrant “B” visa or Non-immigrant “O” visa from the Royal Thai Embassy and have returned to Thailand, your employer will want a copy of every page in your passport so they can start the work permit process. The work permit process can take from 10 business days to six months as the due diligence period has been increased. Your employer will request the following items so they can start the process. Once you have obtained your work permit, your visa will be extended one year from your entry date. You will be required to report to a local immigration office to every 90 days to notify your intent on staying an additional 90 days and to update your physical address. As a foreigner (non-Thai National) your landlord must also report to immigration of your physical address, contract term, people living with you, etc., so both of these address and information should match up at immigration.